I was downtown and saw the BEANS elevator and I thought, do I really need another BEANS pic since it never changes. Then I thought, that is the best thing about the BEANS sign is that it never changes. It’s always been there ever since I can remember. 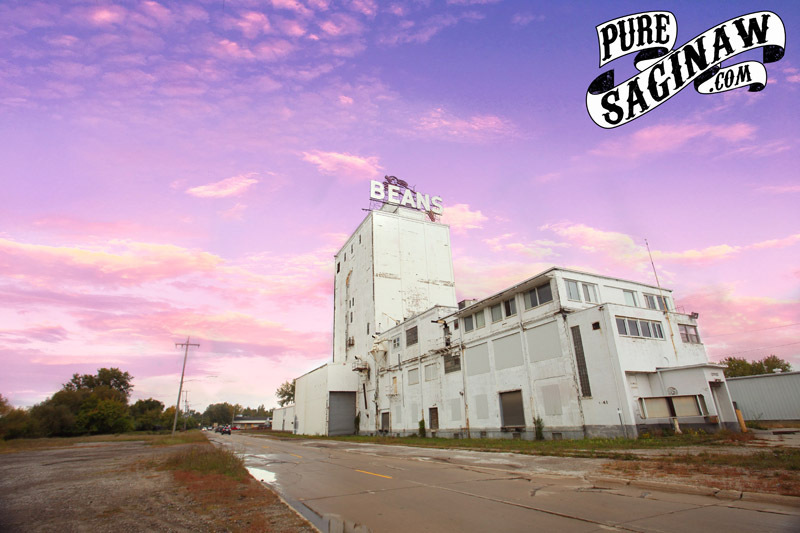 Everyone that I meet that has left Saginaw always recognizes the BEANS sign and remembers it. A lot has changed in Saginaw over the decades, the Feiges Building and the whale at the zoo are gone, but the BEANS sign is still standing. Hopefully one day it will be illuminated in the Saginaw skyline again. I am not sure what is going on with Facebook, they are really restricting my page. I don’t have the money that the politicians, and the get rich quick schemes have for paying to show my posts. I hope you will sign up for email updates so you won’t miss any new posts on my website.